1. Tell us about yourself and your role in Full Circle Insights? 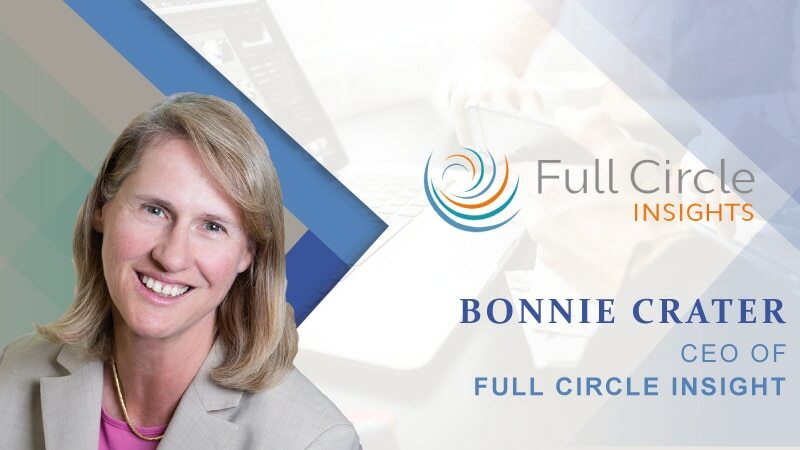 I am a former 5-time VP of Marketing and am also the founding CEO of Full Circle Insights. 2. How do you think CRM technology has changed Martech Industry? First came CRM, then came Martech. In the beginning, CRM was defined has having 3 key applications: Sales Automation, Customer Service Automation, and Marketing Automation – in that order of development, adoption, and use by customers. Marketing, being the most complex of the disciplines, drove the opportunity for thousands of new companies to address the needs of marketers. So while CRM may have kicked off Martech, Martech evolved through the realization that automating marketing was a complex task requiring lots of different applications. 3. “Today, only 50% of marketing departments know how to correctly interpret their data findings” -what are your views on this? I think there’s way more to this issue than “correctly interpreting data findings.” First marketing teams have a really hard time simply collecting accurate data about their marketing programs and ensuring that the analysis includes both funnel metrics and attribution. This helps marketers evaluate not just whether prospects are responding to messages by clicking or filling out forms, but also how those programs are connected with sales efforts. Also, part of the problem is the CRM system itself. As the marketing data percolates through the CRM for sales follow up, there are numerous ways for the information to get overwritten or deleted so marketers struggle in an effective way to curate the data to ensure accuracy. Lastly is the shared visualization and analysis piece. You have to have well-collected and curated data to be sure you have the best information you can get on your marketing programs. Visualization and analysis should not be just marketing’s job. It should be shared with sales and reviewed regularly at the operations and executive levels. The purpose of these reviews is to identify areas of success and failure and to re-allocated budgets to programs that are efficient at bringing in new customers. If the information is not stored in the CRM, then sales and marketing teams are reviewing different data which creates conflict. That’s bad. Sales and marketing should be reviewing analyzing the same information. The best place for storing sales and marketing is in a shared system – the CRM. Is there a problem with correctly interpreting data findings? I think that’s the least of it – most of the time there’s poor collection, curation, and a lack of shared visualization and analysis between sales and marketing. 4. Can you share with us some of your upcoming products and how they are beneficial to the martech arena? If you are trying to measure the impact of marketing on sales, then Full Circle’s products are very, very effective at this task by providing a marketing measurement platform that collects, curates, and provides a shared visualization right inside your CRM system. An area that we are beefing up in our products is to improve how we collect and curate digital marketing information. Our first product in this area is Digital Source Tracker that allows marketers to measure digital advertising and other digital marketing with funnel and attribution metrics. In our upcoming products this summer, we will expand this capability to provide a new command center view of all digital marketing across every digital advertising platform. 5. What are your views on AI and its future in Marketing Department? AI is advanced computer science that works best when you have properly collected and curated data. 6. Marketing departments are recently seen to be increasing a huge amount of revenue and time in different technologies. Do you think refined skillset with better workforce can have a better impact? Yes, increasing skills in understanding marketing data management and data flows between digital properties, martech systems and the CRM is increasingly important. In addition, the development of skills in the area of data analysis is also essential. Lastly, while marketing operations can have a big impact on marketing results, don’t forget creative. We still need people who can think of the next great campaign. Even better are people who can think of the next great campaign and understand the marketing systems and how to get the most out of them. 7. Which book are you reading these days? Originally posted on MarTech Cube’s MTC News Desk.